Another Use for Vodka | Christian & Co. This month’s article was inspired by Mr. Jim Montrella. Mr. Montrella owns a 2000 Formula 31 PC express cruiser in Dana Point Harbor named “H20 Man”. I met him when I handled an insurance claim for his insurance company and he called us a year later when he needed a condition and valuation survey on the same boat. He keeps the boat in good condition and during our recent inspection he mentioned that he uses vodka to purify his boat’s water system. I have been around boats a little while and have been blessed with talking about boats with tens of thousands of people in the last three decades, but Jim was the first to mention this trick. I had always deferred to chorine bleach. I had been told early in my career, perhaps during marine surveying catastrophe duty after Hurricane Andrew (August 1992 – South Florida), bleach could be used to purify water and would not be injurious to humans when consumed. So I blindly followed that advice and have repeated it to many boaters over the years, until this past August when Jim mentioned vodka. Jim is a very active boater and as his boat suggests, he likes to keep it maintained well. I had to take him seriously and I did a bit of internet research. Most of the research deals with survivalists and some was very technical. Did you know alcohols precipitate proteins and solubize lipids? (I’m betting two of you did.) I tried to get a feel for our specific interests, boat water tanks and it turns out many people use vodka for this purpose. Basically there was no consensus on the proper amount but the ethanol in vodka is effective against a wide spectrum of bacteria. The impurities remain in the water, so it is not a replacement for the much more expensive option of a water maker, but for the purpose of purifying the tank and system, it is effective. Vodka is the most commonly used drinking alcohol because there are no additives in common vodka. 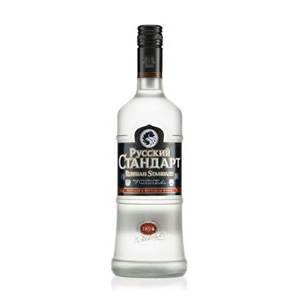 I am thinking Popov level of vodka makes more economic since than Grey Goose and certainly don’t use flavored vodka. Make sure you don’t have any recovering alcoholics coming aboard, lest they unknowingly lose their sobriety. I asked two doctors about this method of purification. One is an old friend and one I randomly met recently on a golf course. It was very interesting that they both gave the same answer to my query, why waste the vodka? Based on the research, I feel vodka is an effective additive, and the benefits outweigh the draw backs. I certainly am more comfortable drinking vodka than I am drinking bleach. The smell of bleach is unpleasant and though I prefer tequila, I can certainly tolerate a bit of vodka, especially if it reduces the chance for unpleasantries like giardia. By the way Mr. Montrella has recently begun chartering that smartly kept boat of his, so if you are interested in a boat ride up Dana Point way, send us an email and we will forward it to him. I can’t guaranty that he will have recently cleaned his water tank, but his boat will be in good condition.